Choose the “File” menu and the “Open” option to display the file dialog box. Search for the file you need and double-click it. The picture will open up in a new document window. 2 Choose the “View” menu and then the “Fit to Window” option, if only part of the picture is showing. The entire picture is reduced to fit on the screen. 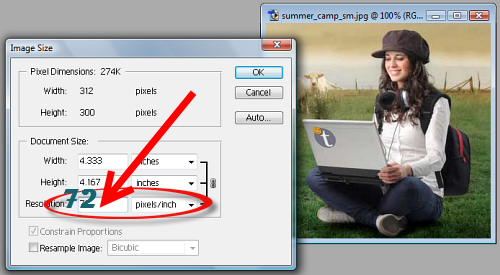 Reduce your image proportionately in all dimensions by making sure the “Constrain Proportions” check box is checked. If you do not do this, your image may appear stretched or squashed. Type in a new resolution – 72. 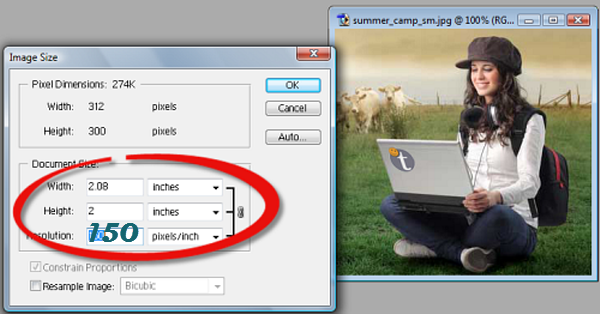 Type in a new image size on top of menu. 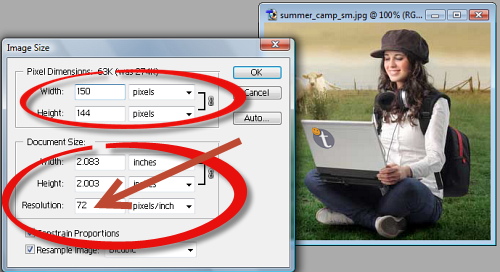 Choose the “File” menu and the “Save As” option to save the file under a different name. This allows you to return to the original, if needed, to try different dimensions.